Bottles of prescription painkiller OxyContin made by Purdue Pharma LP sit on a shelf at a local pharmacy in Provo, Utah, U.S., April 25, 2017. Opioid producers, distributors and pharmacies face thousands of lawsuits in the United States over claims they created and fueled a drug epidemic. Approximately 2,000 suits by municipalities, hospitals, benefit funds and other plaintiffs have been consolidated before a U.S. District Judge Dan Polster in Ohio, under Federal multidistrict litigation rules. Hundreds of opioid lawsuits have also been filed outside this process. Over 30 states are also pursuing legal action. Last week members of the Sackler family, which owns Purdue Pharma, asked a judge to dismiss a lawsuit by the Massachusetts attorney general that claims family members personally directed deceptive marketing while making over $4 billion from Purdue between 2008 and 2016. 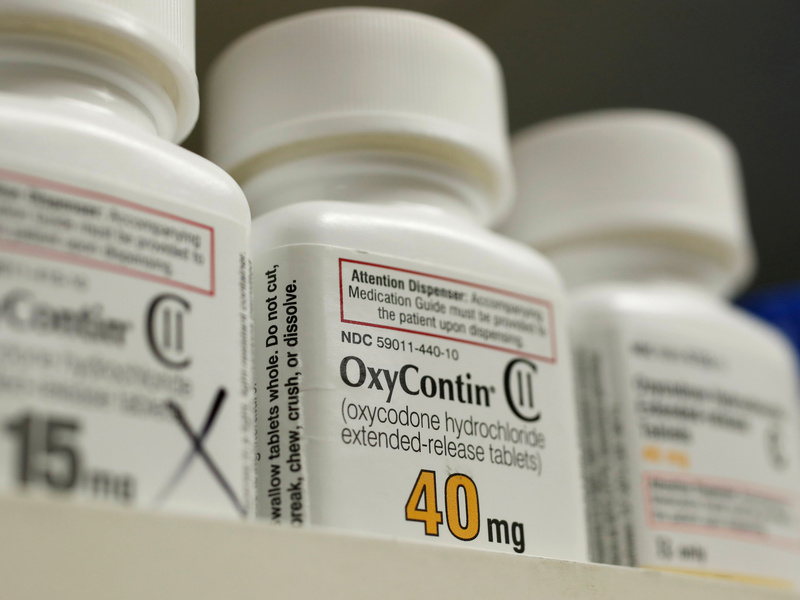 In March, Purdue Pharma and members of the Sackler family reached a $270 million settlement to resolve a suit brought by the state of Oklahoma. Among other terms, the company is contributing $103 million to fund a center of addiction studies and treatment at a state university, and donating $20 million of medications to the center. The Sacklers, who were not named in the suit, agreed to contribute $75 million to the center.